Casa Italia is lending an innovative and modern look to one of the most antique form of pictorial art. Casa Italia is a company that was established 2006 and is already acknowledged as one of the most prestigious suppliers to the architectural and residential markets. 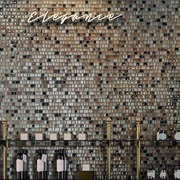 Casa Italia tiles glass-mosaic range, offers glamorous and chic collections that are obtained by playing with the materials’ transparency and the preciousness of the tesserae. 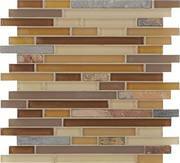 Casa Italia tile has lots of designs and styles of glass, natural stone and metal mosaic tiles to transform your kitchen backsplash or bathroom shower into a showpiece. The Antica Roma, Pure & Natural, and Slate mosaic series from Casa Italia are blends of glass mosaics and natural stone mosaics that are sure to make an impression when added to any room of your home. Metallica and Metallica Satin, are Casa Italia collections of glass mosaic tiles that have almost a metallic shimmer to the surface of the tile. Casa Italia tile for sale now on tilesdirect.net. Buy Casa Italia tile at the lowest price online.